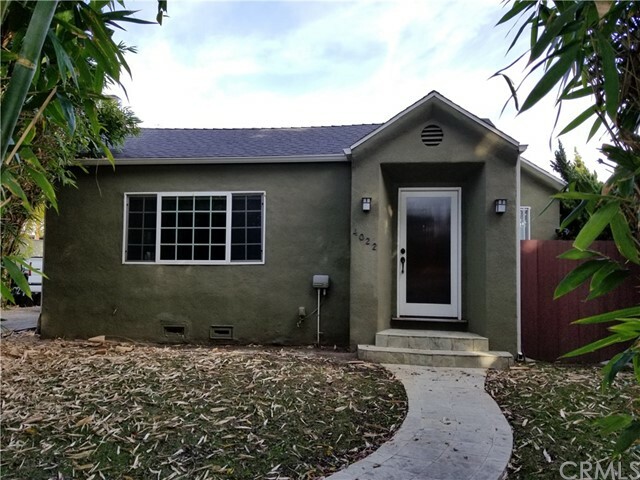 All Culver City homes currently listed for sale in Los Angeles as of 04/18/2019 are shown below. You can change the search criteria at any time by pressing the 'Change Search' button below. 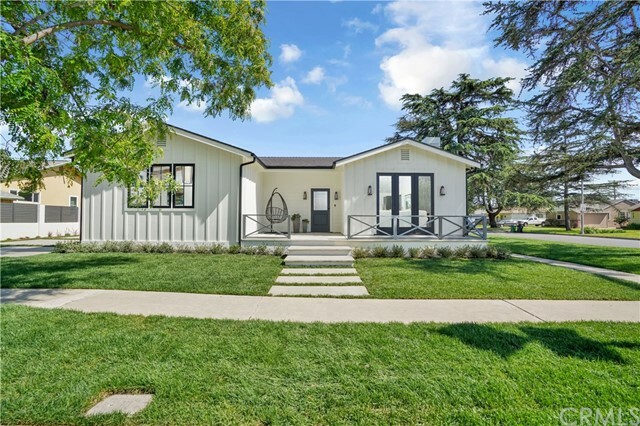 "Bask in the warmth & sunlight of this exquisite New Construction home in Culver City's Vets Park! Located on a quiet street lined with Magnolia trees, near Farragut Elementary. Built in 2019, this 5-bedroom & 6-bathroom home has a bright living room with 10-foot ceilings & white oak hardwood floors. Large formal dining room opens to the gourmet kitchen with custom cabinets, pantry & center island with counter seating. Large great room with fireplace opens thru sliding doors to backyard. Guest suite downstairs and four bedrooms upstairs, including master bedroom with private balcony and views to Hollywood sign. High-end features include 2x6 construction, dual-zone HVAC, alarm & camera system, tankless water heaters & Marvin doors. With a carport for covered parking, the detached 2-car garage makes a great office with patios in front & behind. Amazing Culver City location surrounded by restaurants, near schools, near Vets Park's pool & sports courts, and not far to downtown Culver City!" "Gorgeous 3050sf New Construction 4-Bedroom & 4.5-Bathroom Home in Culver City's Carlson Park! With Detached 400sf Guest House! High-end finishes & high- end construction including 8' Marvin doors, high-efficiency HVAC, cat-6 wiring, security cameras & butler's pantry with wine fridge. The large open living room has 10ft ceiling, crown & custom window molding and beautiful European white oak flooring. Gourmet Kitchen has large island with marble counters, Thermador appliances & beautiful white shaker cabinetry. Great room design opens to the family room with gas fireplace and wall of glass doors that open for indoor/outdoor flow to the large grass backyard. One suite downstairs & three suites upstairs, all with their own bathrooms, including master suite with vaulted ceiling, balcony, 2 large walk-in closets and master bathroom with soaking tub & marble shower. The detached Guest House can be used for guests or as private office. Near all the shops & restaurants in downtown Culver City!" "Exceptionally Spacious Mid-Century Architectural Home (over 4800 sq. ft), offers 6 bedrooms, 5 bathrooms, swimming pool, with balcony views of Los Angeles, perched atop a generous hillside corner lot. Yet, the inspired design-builder may enjoy updating this classic. This home is located in coveted Blair Hills of Culver City, known for its award-winning schools and bountiful parks. Stoneview Nature Reserve and Blair Hills Park are two parks within proximity of this beautiful home. A short distance to Metro Line, Los Angeles International Airport, Downtown Culver City (Kirk Douglas Theater, Culver City Hotel, outdoor cafes, shops, and galleries. Simply, an end-user or developer's dream with incredible value." 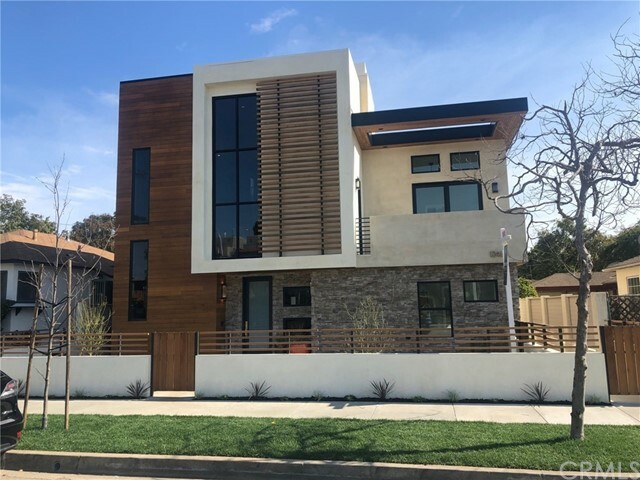 "Extraordinary brand new luxury four bedroom Modern home (2,727sf) with a detached upper ADU one bedroom apartment (597sf) over an over-sized garage (545sf) on a beautiful tree-lined street, walking distance to many shops, cafes & restaurants. The home enjoys an open floor plan downstairs with large sliding doors & windows throughout, high ceilings, walk-in pantry, gas fireplace, private front & rear patios, built-in bar, breakfast bar, concrete floors and an en suite bedroom w/walk-in closet. Upstairs, the Master enjoys a large balcony with treetop views, incredible bath & walk-in closet, two en suite bedrooms w/full baths & walk-in closets and a laundry room. The one bedroom apartment has it's own laundry, walk-in closet, high ceilings & private access from the alley. The garage is large enough for 2 full cars and toys. In addition to the garage is a gated open parking area large enough for an RV but designed as part of the backyard. Incredible opportunity." "This special 4BD/4BA home with separate 1BD/1BA unit offers great updates and expansive, flexible living spaces in coveted Culver City. The main house includes a large living room leading to a bright dining area, plus a gourmet kitchen featuring granite countertops and stainless steel Viking appliances. Four downstairs bedrooms offer bright windows and large closets, and bathrooms include updated fixtures. The upstairs can serve as either an oversized family room or a full-floor master thanks to its spacious walk-in closet and luxurious bathroom with a jetted tub. There's also a large laundry room with side-by-side washer-dryer and bonus room/home office on this level. Two parking spaces plus an extra-large, detached two-car garage topped by a complete 1BD/1BA unit with laundry. Large, fenced corner lot with a paved yard and outdoor kitchen. Great for live/work, shares, multigenerational families, and more. Easy access to shops and restaurants, hip Mar Vista and downtown Culver City." "This incredible Spanish-style 5-bedroom home, custom built in 2015, has a majestic foyer with 2-story vaulted ceiling and curved staircase with ornate custom iron railing. Large Great Room with living room that opens to the gourmet kitchen which opens to dining area which opens to family/movie room with popcorn maker. The gourmet kitchen has custom cabinets, Italian marble floors, Viking professional appliances and a large center island with counter seating. Amazing backyard with outdoor kitchen and professional size grill, Spanish tiled counters with bar seating, firepit and outdoor dining room. With 5 bedrooms upstairs, there is room for kids, office & gym. The incredible master suite has two balconies, views of the Culver City Hills and gorgeous master bathroom. High-end features include oak hardwood floors, central vacuum system, dual zone hvac, 2 laundry areas and attached 2-car garage with built-in storage. Great Westside location near Playa Vista shops & restaurants!" "California living at its best! This beautiful two story home in the sought after Clarkdale neighborhood of Culver City boasts an indoor/outdoor open concept floor plan with a chef's kitchen, large center island, and Viking appliances. Open your eight foot wide bi-folding glass patio doors, revealing an expansive redwood deck and yard with mature trees and landscaping. This 4 bed 3.5 bath home has an ideal layout perfect for a family or entertaining. Your upstairs master suite has a sitting room, huge walk in closet, sleek master bath with full size soaking tub, over sized walk in shower, and dual vanity. Two additional bedrooms and a full bathroom complete the second floor. This turnkey home is completely renovated with all new plumbing, electrical, HVAC and top of the line finishes. Minutes to the beach or downtown, walk or ride your bike to Sony, Amazon Studios, Facebook, or all that Culver City has to offer." "HUGE PRICE ADJUSTMENT!!! Best priced Custom Culver Crest View Home!!! MOTIVATED SELLER!!! High in the hills of the prestigious Culver Crest area of Culver City. Charming custom VIEW home with 3 bedrooms, large living room with view, formal dining, huge open family room, spacious country kitchen with breakfast nook, 3 bathrooms, huge backyard with fire pit, extra large swimming pool, step up spa, and 16,085 square foot lot on two parcels. Picture perfect view from living room, dining, and all three bedrooms. Attached two car garage with direct access to kitchen. Needs updating. Vacation at home! Hike up the backyard hill and view the city, mountains, and ocean!! One of a kind custom in best location!!" "Nestled in the prestigious Sunkist Park area on a prime corner lot with park like greenbelt for added privacy. Stunning contemporary farm style home. Completely rebuilt from the ground up. Beautifully integrating the indoor/outdoor living spaces with bi-fold doors at the front off the generous living area and from the kitchen leading out to your backyard. The office could be a 4th bedroom. Styled to impress the most discerning of buyers with modern must haves such as a Google Smart Home, Nest system, tank-less water heater, central air and heat as well as Anderson All Clad windows. Gorgeous wide plank flooring, open concept living area with vaulted ceiling and fireplace. The gourmet kitchen is bound to please any culinary aficionado with top of the line stainless steel Jenn Air appliances that include a dual fuel six burner gas range, large center island adorned with designer pendants , sleek custom cabinetry and floating rustic wood shelves. The ultimate private getaway is your master suite with vaulted open beam ceiling, a large walk-in closet fully furnished with custom built-ins, and a spa inspired bath with dual vanity, standalone contemporary tub and open shower concept. Bi-fold doors lead to the outside deck furnished with a built-in fire-pit ideal for intimate gatherings or to enjoy a glass of wine after a long day. The finished garage is dual purpose and almost too nice to park a car in! Access to the coveted El Marino Elementary School." "Incredible opportunity to build and invest in prime Culver City where the margins are good! Designed by Allied Design, this property will be delivered vacant and with RTI plans for four Modern private townhouse style 3 bed, 2.5 bath units with large rooftop decks, subterranean parking, and outdoor yard space. Great investment opportunity with close proximity to the Culver Steps, Culver Public Market, and Ivy Station developments currently under construction, and use of City of Culver City services. Please do not disturb occupants." "Stylish Mid-Century Modern Home in the Naturesque Blair Hills Neighborhood,. Located on a corner lot of a quiet street, across from Neighborhood Park & 1 block from Stoneview Nature Center! Light and bright chef's kitchen w/wall to wall windows, skylight, center island, stainless steel appliances & ample cabinets + counter space. Great room w/double glass doors open onto a two-tiered Mangaris wood deck, w/views of the lush hillside, a place to garden, +entertain & play. Den & dining area w/stone fireplace, also open onto living room & kitchen. Three good sized bedrooms plus a spacious & bright master bedroom w/ensuite bathroom on 1 level. 4th bedroom could serve as a second master suite OR be a perfect studio or extended stay guest space. This space features bath and private kitchenette. Usable Basement (with windows & closet), adjacent to oversized 2-car garage with direct access to home. This home is in the Highly Rated Farragut Elementary School Zone with Culver City District." "Unique luxury new construction, front unit, rustic modern gorgeous three bedroom, two bathroom town-home with 2121 square feet of living space located in the Culver-West neighborhood is sure to impress. The Western Redwood Cedar plank is a stunning accent to the entrance of the home. Gorgeous master with en suite bathroom has a walk-in closet and fireplace that overlooks the 562 square foot front yard. The private balcony lends to early morning coffee. Flooring through-out the home is an elegant European oak with 7 1/2 wide planks. Kitchen is graced with Cambria quartz counter tops, custom cabinetry with maple shaker styled doors and Bosch and Bertazzoni (5 burner range) appliances). Balcony off of the kitchen provides additional outdoor entertaining. Bathrooms throughout the home are fashioned with Marble counter-tops, Kohler sinks, Delta fixtures, & deep soaking tubs. Smart home features include Ring Video Door Bell with night vision and wi-fi operated heating and A/C (or mobile device). Bonus electrical amenities include: pre-wired five point speaker surround sound in living room, pre-wired for SOLAR , and pre-wired for ELECTRICAL VEHICLE CHARGING STATION . Located near Sony Studios, the new Culver One shopping complex: Equinox gym, Kirk Douglas Theater, Arc Light, Trader Joes and all the shops & restaurants in downtown Culver City. With a walk score of 90/100 Too many luxury upgrades to list! Experience the best the West side has to offer. Live Washington Place." "Gorgeous 1927 California Bungalow on a quiet cul-de-sac in downtown Culver City near the Ivy Station, Apple & Amazon offices! The bright living room has the original hardwood floors, wood burning fireplace & picture window looking out to the quiet tree lined street. The formal dining room has 6-foot wood windows and opens to the updated kitchen with light blue craftsman cabinets & butcher block counters. The remodeled bathroom has a tiled shower and soaking tub. The garage has been converted into a detached guest house with kitchenette & bathroom. The incredible backyard is surrounded by lush landscaping with a stone patio and grass yard strung with twinkle lights. Amazing location by all the restaurants, shops and theaters in downtown Culver City and the Expo Light Rail station! Near Culver City's award-winning schools! In the middle of all the fun Culver City has to offer!" "Ideally located in Culver City, this State of the Art Contemporary home rebuilt from the ground up is almost entirely new construction. Built to the highest standards inside and out, with 3 bedrooms, 2.5 bathrooms, and over 1,800 square feet, the high ceilings and open space provide a ton of natural light. The new kitchen with designer finishes, Calcutta quartz waterfall island, stainless steel appliances, and wine cooler is open to the living and dining rooms. The master bedroom has a spacious walk-in closet and ensuite bathroom featuring designer tile and waterfall shower which opens up to the spacious outdoor area. Outside there is an additional fully permitted ADU that is perfect for recreation or storage. Other amenities include NEST thermostat, new HVAC, an electric front gate, beautiful landscaping the list goes on and on. Located in the coveted Culver City school district, close to vibrant Downtown Culver City, restaurants, shopping, coffee shops, this home truly has it all." "This home is a private and sun-filled oasis in Culver City's Blair Hills. It's a two-story home with mid-century modern details throughout. You enter the home on the second story where you are greeted by warm natural wood floors that lead you into a large living room. In the room's center is a beautiful original two-sided flagstone fireplace. On this level you will also find the three bedrooms, two full custom bathrooms and an exquisitely designed wood-paneled office. Two of the bedrooms have Juliet balconies that overlook the Los Angeles basin and the private courtyard below. The kitchen is also on this level with a large open plan and room for a dining nook. Several glass French doors open to a lush outdoor entertaining area. Moving down the interior staircase brings you into a giant media and game room with it's own half bath. The room can easily fit a pool table; it includes a roll down projection screen, a wall of built-in bookshelves, another stone fireplace and an outdoor area." "Culver City Schools! ~ Welcome to this spacious 3 BR, 3 BA highly coveted Culver City home. Open floor plan features a grand living room with vaulted ceilings, wood floors and an abundance of natural light. Off the living room is a beautiful formal dining room. Towards the back is a large and bright family room w/ walls of windows and adjoining Chef's kitchen making it perfect for big family gatherings and entertaining. From the family room, are steps to the lovely backyard, garden and 2 car garage / home office. All 3 bedrooms are upstairs. 2 generously sized bedrooms w/ wonderful natural light and ample closet space share a full hallway bath. The Master suite features a wood burning fireplace, private balcony, a massive en-suite bathroom w/ walk-in closet, vanity sink, over-sized shower and giant sunken jetted soaker tub. Solar panels ensure sufficient energy savings. Meticulously cared for, this charming Culver City neighborhood home is ready for immediate move-in." "New Construction Single Family Detached Home. One of only six remaining fully detached condominium homes nearing completion in the Del Rey neighborhood of Westside L.A. Est. completion mid-April 2019. 4 bedrooms and 3.5 baths. Over 2000 sq. ft. on 3 floors. Attached 2 car garage electric vehicle charger. Main floor balcony w/ gas hook-up for outdoor cooking. Private patio/yard space. Stainless steel Kitchenaid appliances. Contemporary cabinets. Quartz counter tops. Beautifully tiled walk-in shower. Buyer selects flooring from options of wood, carpet and tile. Large dual glazed windows. Central A/C and Heat. Tankless water heater. Solar panel ready. Energy efficient LED lighting. pre-wired for Cat 6 data and RG6 cable. Great City views. Bike paths nearby. Minutes to Marina del Rey, Playa Vista, Silicon beach shopping, dining, recreation & Leisure. Close to 405 fwy. HOA dues of $134.00 monthly. among the best values per square foot on the Westside." "Gorgeous renovated Westside home! The large open living room has new hardwood floors. The formal dining room opens through a sliding glass door to huge backyard surrounded by mature landscaping. The brand-new deck is ideal for entertaining and outdoor dining. The bright kitchen has marble counters and marble floors with stainless steel appliances. The remodeled bathrooms have beautiful Italian Saime tile and Kohler fixtures. The attached oversized garage has high vaulted ceiling and would make a great office or ADU/guest house. Great location, in between downtown Culver City and Silicon Beach - Playa Vista! Convenient access to the beaches, a short drive straight to Playa del Rey or bike along the scenic Ballona Creek to Marina del Rey and Venice. Amazing Westside location!" "Model home. One of Twelve newly constructed single family detached homes in the Del Rey neighborhood of Westside L.A. Est. completion April/May 2019. 3 bedrooms plus den/optional 4th bedrooms with 3.5 baths. Over 2000 sq. ft. Attached 2 car garage w/ 40 amp electric vehicle charger. Balcony w/ gas hook-up for outdoor cooking. Ground floor patio/yard space. Stainless steel appliances including stove/ range, microwave, dishwasher, refrigerator, washer/dryer. Contemporary cabinets. Quartz counter tops. Walk-in shower. Upgraded wood flooring with carpet and tile. window treatments w/Large dual glazed windows. Central A/C and Heat. Tankless water heater. Solar panel conduit. Energy efficient LED lighting. landscaping included. Fully detached single family condominium with HOA dues of $134 monthly. COME SEE!" "This updated residence will capture you as you enter through the garden area perfectly set with a fountain, sitting area, and lush landscaping. The living area is complete with a cozy fireplace, while the upgraded eat-in chef's kitchen is loaded with stainless steel appliances, granite countertops, and custom cabinets. Entertaining is made easy with a BBQ deck area that opens directly off the kitchen. The spacious private back area, with retractable awning, has been designed for entertaining family and friends or simply relaxing in the hot tub. The permitted bonus area with bathroom works perfectly for a guesthouse,office, or cabana. Relax at home or take advantage of all the eateries and shops downtown Culver City has to offer. A detached garage and large driveway provide ample additional parking. A short walk to Veteran's Park and sought-after Culver City schools and services are a bonus - this home is Culver City living at its finest."